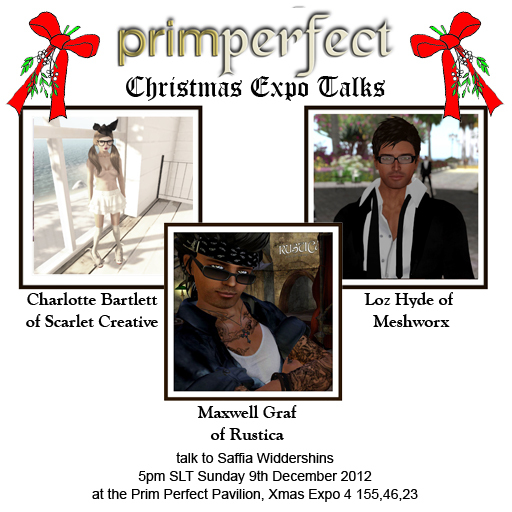 Today we have a talkand a panel session at the Christmas Expo – both in the gorgeous Prim Perfect Pavilion. 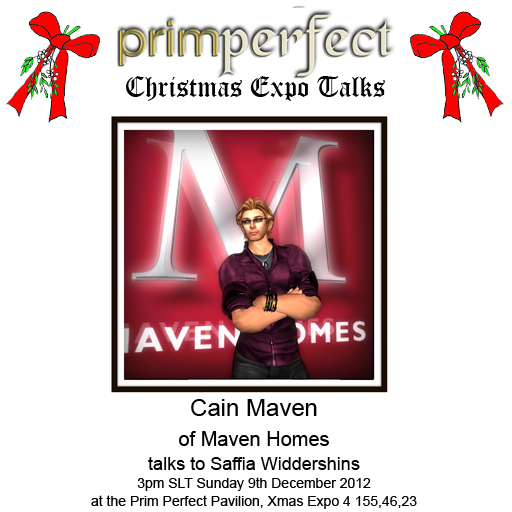 At 3pm, Cain Maven of Maven Homes will be talking about his beautiful homes, working with mesh and how we can best develop Second Life. At 5pm, we have a trio of mesh-enthuusiastic designers to talk about their work (and, I suspect, other things as well! ): Maxwell Graf of Rustica, Charlottle Bartlett of Scarlet Creative and Loz Hyde of Meshworx. Next Post: Test your knowledge of The Blackened Mirror in our new web game!